Sangam (English: Confluence) is a 1964 Hindi movie produced and directed by Raj Kapoor. 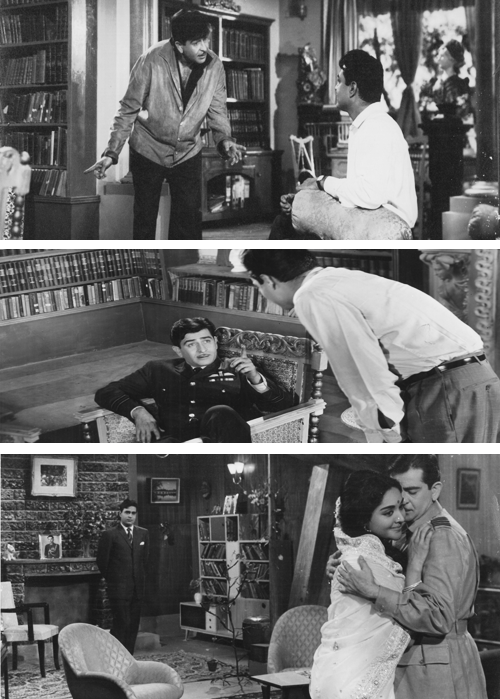 The film had Vyjayanthimala, Raj Kapoor and Rajendra Kumar in the lead with Iftekhar, Raj Mehra, Nana Palsikar, Lalita Pawar, Achala Sachdev and Hari Shivdasani appearing in supporting role. Sangam was Raj Kapoor's first color film, distinguished by its technicolor and epic length (even by Bollywood standards). It became a hit in India and is considered a classic today. One of the features of the film that became widely used later on in Bollywood is the use of foreign locales for on-location shooting, such as Venice, Paris, and Switzerland. This started the Bollywood trend of shooting songs sequences abroad (primarily in Switzerland), against the background of "exotic" landscapes. Director Dasari Narayana Rao remade the film in Telugu and Kannada languages as Swapna.